We focus on correcting, preventing & maintaining your skin. Skincare programs and products that will help you to achieve and maintain younger, healthier skin. Dedicated physicians and staff who are committed to helping you refresh and rejuvenate the beauty in you. Our medical spa offers the area’s most effective medical skin treatments. At Timeless Aesthetics MedSpa we understand skincare and are committed to refresh and rejuvenate the beauty in you. Rejuvenate. Renew. Refresh. Look your best. "Love Dr. McCarren!! He saved my life. Thank you Dr. McCarren, you are the best." "The best MD. Dr. McCarren is thorough, skilled and follows through." "Wonderful service from Dr. Heuker. She's caring and very proactive." "Dr. Heuker makes you feel comfortable right from the start." "This doctor actually listens and cares about what the patient says." "Love love Dr. McCarren!! He saved my life. Thank you Dr. McCarran." "The best MD. He is thorough, skilled and follows through." "Dr. McCarren does an excellent job of listening. He has changed my life for the better." Timeless Aesthetics MedSpa has dedicated physicians and staff who are committed to helping you refresh and rejuvenate the beauty in you. Contact us today to set-up your free consultation! Save $75 this month before summer begins! Save $50 for yourself or gift it for Mother's Day! We have a new solution that you can trust year-round to improve the appearance of your skin, without major downtime or recovery! Timeless Aesthetics Medspa is very excited to be one of the exclusive practices in the country to be offering the newest innovation in skin revitalization - Secret RF. Secret RF uses both radio frequency and micro-needling to safely custom tailor treatments helping reduce signs of aging and unwanted blemishes like fine lines, wrinkles, acne scars, and stretch marks. For a limited time, we will be offering introductory pricing and complimentary consultations. Thank you for being a valued customer and we look forward to speaking with you soon! At Timeless Aesthetics Medspa, we believe that beautiful looking skin requires an on-going commitment to daily skin care and healthy living. Our staff will educate and introduce you to skincare programs and products that will help you to achieve and maintain younger, healthier skin. Whether you are concerned about fine lines, wrinkles, sun damage, pigmentation, acne, scarring or other conditions, we will design a treatment that revitalizes your skin and prevent future damage. All men and women deserve to look and feel their best. 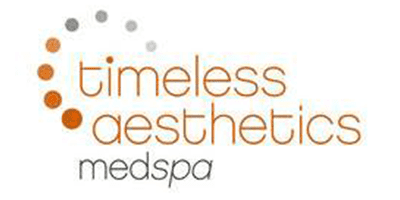 The team of dedicated physicians and aesthetic experts at Timeless Aesthetics MedSpa in Cincinnati are known for helping clients become refreshed and rejuvenated. Under the direction of Timothy J. McCarren, MD and Sonja A. Heuker, MD, all the treatments offered at this medical spa are medically safe and effective. Each team member believes that beautiful skin requires an ongoing commitment to professional skin care treatments and healthy living. They spend time educating each patient on the skincare programs and products best suited to their needs and desires. Each client receives individualized options for achieving and maintaining fresh, glowing skin, between their anti-aging and clinical-grade acne treatments. Most of the top-requested treatments at Timeless Aesthetics MedSpa involve state-of-the-art aesthetic lasers. These advanced lasers minimize the appearance of scars and wrinkles, and they restore skin’s youthful suppleness. This medical spa’s aesthetic practitioners also offer the most advanced facial injectables, laser hair removal, and laser tattoo removal. The team at Timeless Aesthetics MedSpa are committed to their ongoing professional development and integrating new technologies into the clinic’s treatment offerings. With flexible scheduling and evening hours available, clients can schedule complimentary skincare consultations and skin analysis at convenient times. "Wonderful service from Dr. Heuker. She's caring and very proactive. I can't say enough good things about her." "Dr. McCarren does an excellent job of listening, asking good questions, and has an effective....way of getting his recommended course of action across to the patient." "Dr. Heuker makes you feel comfortable right from the start. I felt she cares about my worries and addresses them." "This doctor actually listens and cares about what the patient says. She makes you the focus of her attention and also makes you feel at ease when she is examining you."